The last several days have been just plain straight water-come-down-from-sky. Unusual for San Jose, where we often get the Camelot effect ("the rain may never all till after sundown; by 8 the morning fog must disappear"), or a big downpour and then clearing. It hasn't been downpouring; it's mostly been more than drizzling; a good pace for absorbing water into the ground, which is a Good Thing, but bad for doggie brains. I now know why they called them bored-er collies. Someone has been getting into EVERYTHING and being quite a nuisance. But the yard is just too wet and muddy (and cold!, also unusual for rainy times) to go out into, and who wants to walk in this weather? 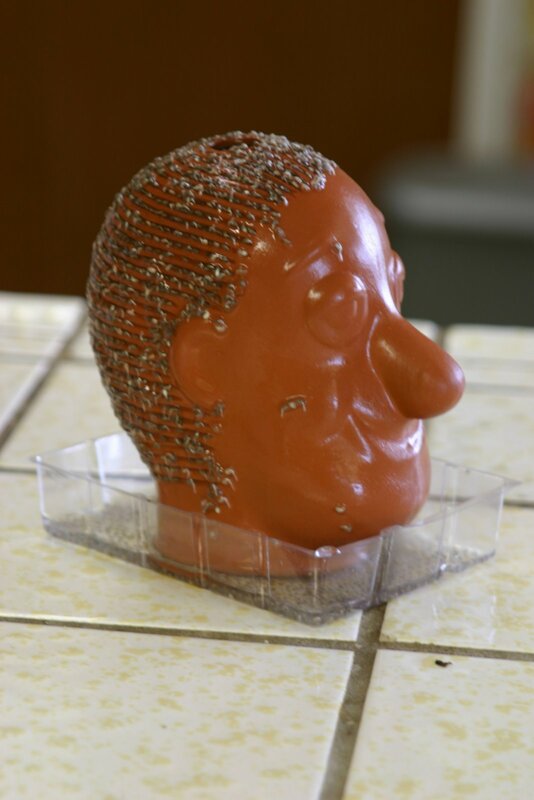 Instead--I'm growing a chia head! Yes, have always wanted to try one but never wanted to shell out the money for it. I stole this at our agility club's annual gift exchange; apparently everyone thought I was being nice to the guy I stole it from because who would REALLY want a chia head? Who knew that doing dog agility would lead directly into this fulfilling personal experience? Three days to germination, it said; here we are at day 2. I can hardly wait! It was one of the most brilliant rainbows I've seen. I raced to the car, shoved in the sopping beasties, grabbed my cheapie camera (always carry one, always! ), and raced backed to a good vantage point. 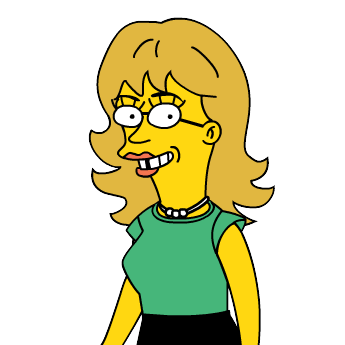 Then I realized, hey, it's a DOUBLE! It is sort of Otterpop's but more mine. We are lucky Otterpop is a dog and not a human that could write something because she would likely be a unibomber so we don't even want to know what kind of blog she would have. It would be very, very bad in a manifesto sort of way, I am pretty sure. Thanks for good training ideas. I always figure my dogs are the only ones that come up with issues. I have seen you and your dogs at dog shows and they always have appeared to be perfectly trained and issue free! Yes, I saw that there are more photos of you than of the dogs. :-) But "Otterpop" is so much more fun to say than "Laura." Thanks for the compliment on my dogs--if you only knew! 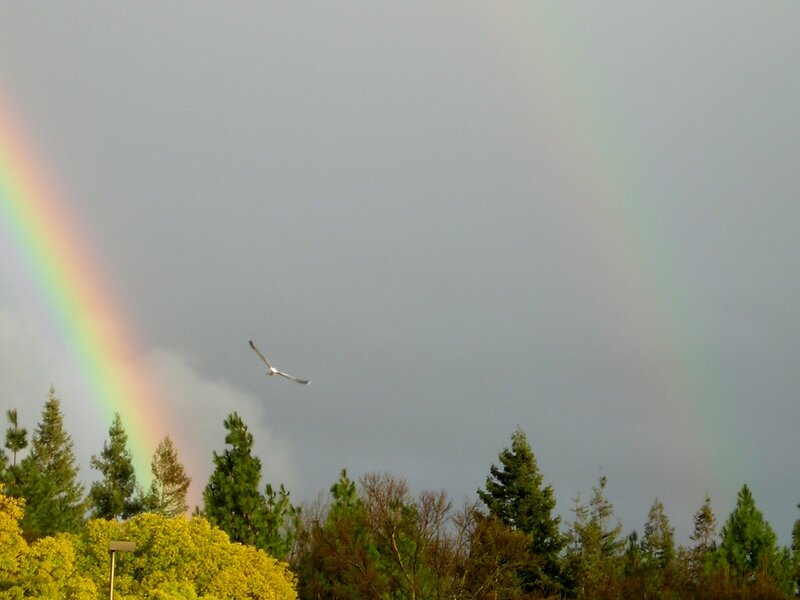 A double rainbow, I think that means double good luck, doesn't it? Guess it paid off yesterday!